The Moto Droid Turbo 2 came to life late last year, boasting a great combination of features and specs that put it up there among the elites. With close to half a year gone since the phone made its debut, here is how it compares against the newly launched Samsung Galaxy S7 Edge. Giving the Moto Droid Turbo 2 and Samsung Galaxy S7 Edge a closer look will reveal that these two have a very small difference in size. However, the new S7 Edge is thinner. In addition, the Galaxy S7 Edge has a slightly larger screen size of 5.5-inches compared to the 5.4-inches packed on the Droid Turbo 2. Both screens use QHD AMOLED technology with the same resolution of 1440 by 2560 pixels, however, the smaller Turbo 2 has a better pixel density of 540ppi compared to the 534ppi on the S7 Edge, but this is highly unnoticeable. Even though you will find a Qualcomm Snapdragon SoC on both handsets, the older Droid Turbo 2 definitely has the older version. However, you will enjoy 32GB and 64GB storage options on the two in addition to the ability to expand using a microSD card. Both smartphones have the same 5MP selfie camera as well as support common connectivity options that include Bluetooth 4.1, Wi-Fi, NFC, wireless charging and micro-USB. Samsung did not make wholesale changes to the design that came with last year’s Galaxy S6 as far as the new Galaxy S7 is concerned. However, just like the Droid Turbo 2 is an update to a previous model, the S7 Edge is basically an update to 2015’s model. The S7 Edge just gets it when it comes to the looks. It has a 5.5-inch Super AMOLED screen with 2K QHD resolution. The unique part of the phone is its dual curved display that works on its own to let you access quite a number of information hassle-free. However, there is no shatterproof protection as what the Droid Turbo 2 offers. Under the hood, Samsung Galaxy S7 packs either a Snapdragon 820 or Exynos 8890 chipset depending on the region, but both models come equipped with 4GB RAM. In addition, you will find 32GB or 64GB of onboard storage; however, the latter variant is reportedly not coming to the U.S. The good side of the story is that you can add a microSD card of up to 200GB. On camera matters, Samsung went the Apple-way this time round, ditching the huge number of megapixels in favor of a smaller 12MP lens, but added DualPixel technology and larger aperture of f/1.7. The camera comes with phase detection autofocus as well as OIS. The front part has a 5MP snapper with the same aperture and supports Live HDR. The Galaxy S7 Edge packs a decent 3600mAh battery unit, which is a little smaller than the Droid Turbo 2, but still very good in terms of battery life. To protect your device from water and dust, Samsung installed IP68 rating on the S7 Edge, which works more or the same as the nano-coating used by the Droid Turbo 2. 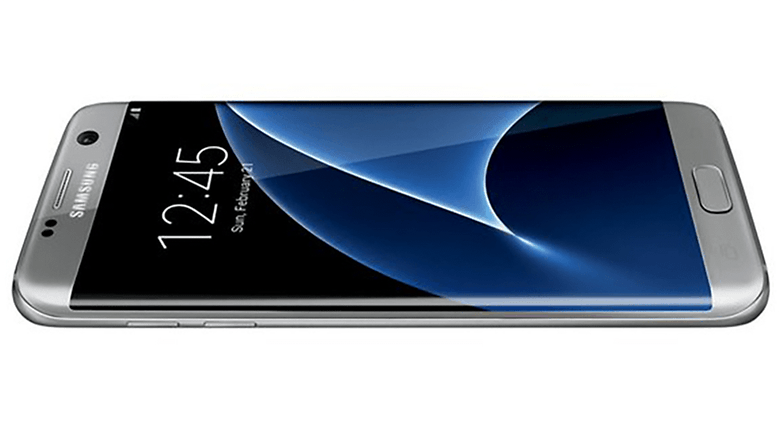 Samsung Galaxy S7 Edge runs on the latest Android Marshmallow OS, has a fingerprint sensor and supports Samsung Pay. To get one, you need at least $790. 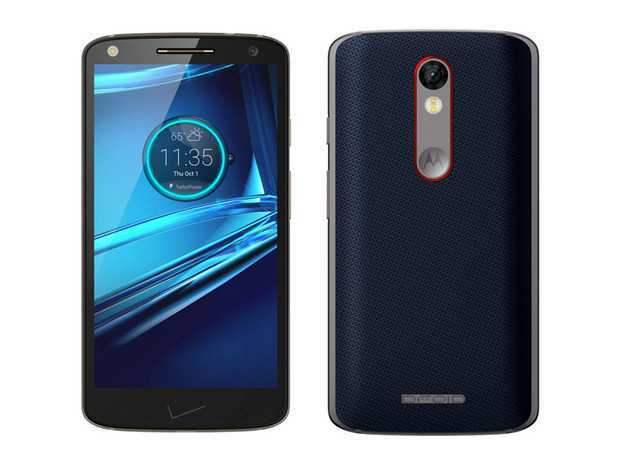 The Moto Droid Turbo 2 is the older device exclusive to the Verizon family. If you didn’t know, the Turbo 2 is actually a revised version of the original Turbo, which means it came in with quite a good number of improvements under the hood. The rear camera was stepped up to feature a massive 21MP lens and the build it comes with makes it sport a more premium look. The 5.4-inch 2K QHD AMOLED screen is protected by a shatterproof feature known as ShatterShield. Under the hood, the phone comes with a 64-bit Snapdragon 810 chipset that boasts of 8 cores and an Adreno 430 GPU. This processor is supported by a decent RAM of 3GB. There are two storage variants for the Droid Turbo 2 – 32GB and 64GB – all of which can be expanded using a microSD card of up to 200GB. As mentioned, the rear of the Moto Droid Turbo 2 has a 21MP lens with an aperture of f/2.0. This sensor supports dual-tone LED flash as well as phase detection autofocus. The front facing panel has a 5MP snapper for selfies and video calls. Given the huge display size on offer, the Droid Turbo 2 comes with a massive battery unit of 3760mAh, which has no problem juicing it up thanks to the Turbo Charger equipped with the phone to speed up the whole process. As noted earlier, wireless charging is also supported. Even though the Droid Turbo 2 has an NFC chip, it does not support fingerprint authentication since it lacks this hardware. Moto Droid Turbo 2 launched with Android Lollipop, but it has already received the Marshmallow update. The phone is currently priced at $720. These two devices have almost the same price, however, you will definitely get more when using the newer Samsung Galaxy S7 Edge as compared to the Moto Droid Turbo 2, but this doesn’t make the latter a bad option. In fact, it is still one of the best Motorola smartphones out there.